Your little princess will be the belle of the ball wearing this LESY Girls Black & Gold Special Occasion Velvet Dress. 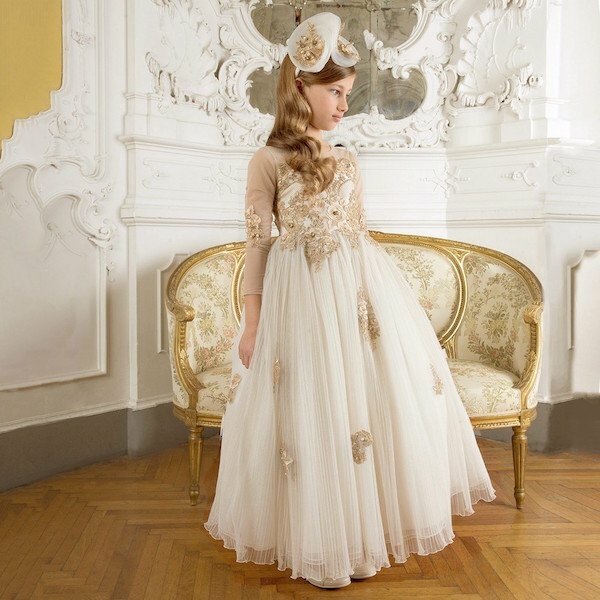 The perfect special occasion dress, the shimmering gold and sparkling gems will ensure she makes a dramatic entrance in this handmade dress by Lesy. Designed in Italy, this gorgeous dress features a mix of luxurious textures, from the velvet bodice to the rippling golden bands, radiate breathtaking Florentine elegance that she will adore. Complete the look with a matching gold and black headband and ballet party shoes.